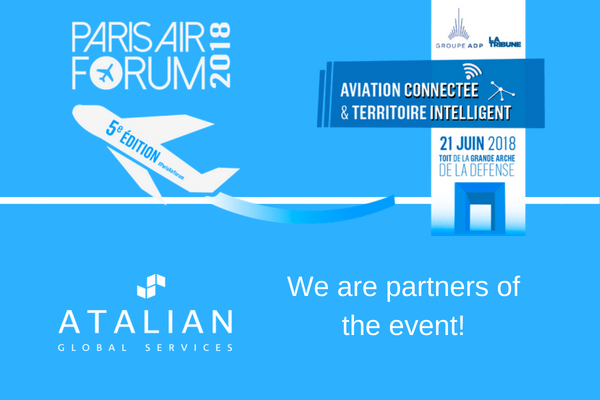 Atalian will be present at the 5th edition of the Paris Air Forum which takes place on Thursday, June 21, 2018 on the rooftop of the Grande Arche de la Défense. The Paris Air Forum is an annual event that brings together leading decision-makers and experts from the aerospace, defense and space sectors. The day will be punctuated by debates, conferences and key notes involving key decision-makers and experts in the aerospace, defense and space sectors. The goal is to decipher the challenges of the present and the challenges of the future to better address the challenges of the sector. The 2018 Paris Air Forum theme is the theme “Connected aviation and smart territory”.